Sign up for free and just shop with Skatehut as normal. Our average member earns over £300 cashback a year. Cashback is not payable where a discount code is used. Skatehut cashback can be earned simply by clicking through to the merchant and shopping as normal. Skatehut Cashback is available through TopCashback on genuine, tracked transactions completed immediately and wholly online. Browse more than 20,000 skate products from leading brands and make savings when you shop online by taking advantage of our Skatehut discount code and cashback deals. Whether you are after skateboards, longboards, skates, scooters or bikes, or want to buy clothes, shoes, accessories and protection, you will find an extensive and growing range. With new items and brands added each day, Skatehut is your one-stop shop for everything skate. Shop by brand or search special offers, while you are sure to find amazing savings in their sale section. They offer a 10% student discount and you can buy gift cards, while if you subscribe to their newsletter, you will receive the latest news and exclusive offers. Earn loyalty points and get money off future orders, while they offer free delivery on orders of £30 or more. So, sign up to TopCashback using the form at the bottom of this page and start saving now. As well as offering complete skateboards and bundles by the likes of Enuff and Ridge Wave, you can also get your hands on some new skateboard wheels, decks, trucks and tools by the likes of Karnage, DGK and Fracture Wings. Discover Prohibition longboard bushings, Globe griptape and Bones bearings, while if skating is your passion, they sell both roller and ice skates from big-name brands such as Risport and SFR. Skatehut sell BMX bikes, trikes and tyres, while you can also view Globber and CityBug toddler and commuter scooters, as well as Micro scooters, scooter forks and compression kits. Apart from equipment, you will also find sports and street gear, including T-shirts, hoodies, shorts and caps, with their footwear range featuring Nike and Vans flip flops, sandals and boots, as well as Heelys. Shop for Bullet, TSG and Triple 8 helmets, elbow pads, knee pads and wrist guards to protect yourself, while they also stock accessories like health & fitness products, earphones and sunglasses. If you are looking for bags, meanwhile, they sell ones for your skateboard or laptop, as well as backpacks, duffel bags and messenger bags. For the best savings on your Skatehut order, you’ll find that you can combine cashback with a multitude of other offers, to get more skating gear for less. Firstly, you can see the latest Skatehut discounts on the homepage of the site, with examples such as reduced items as well as multibuys. Time-sensitive sale events are also listed here, including the big ones like Summer, Halloween, Black Friday and Winter sales, but the best way to see them first is by signing up to the Skatehut e-mail newsletter. Anyone who can’t hold out for an offer event can always opt to shop in the sale section, that is available all year round. Within the sale area, you will be able to browse all current, Skatehut discount lines with up to 80% reductions, and with the ability to navigate via product categories, involving both men and women's clothing and footwear styles as well as scooters and skateboards. For further savings in the sale section, you can seek out additional categories, offering discounted, ex-display or returned B-grade items, and also limited and reduced, last chance to buy stock. Besides Skatehut’s many discounted options you can also save in a variety of other ways too. For money off delivery, you can opt to use Skatehut’s free click and collect service, or you can gain access to free tracked Royal Mail UK delivery, by merely purchasing over £40. Anyone worried about the cost of returning items that they aren't sure about will find peace in the knowledge of the Skatehut free Return service, which allows UK customers 30 days to send back unwanted orders. A final additional way you can save on your order is by using loyalty points. All orders receive 1 point per £1 spent, and each one is worth 3p. When you’ve have amassed enough points, then you can use them to reduce the total cost of any future order. Take advantage of Skatehut's loyalty programme and you will earn points which you can use to get money off future purchases. For every £1 you spend, you will earn one loyalty point, which is worth 3p. You will receive any eligible points once your purchase has shipped and you can use as many as you like when you buy. During the checkout process, just enter the amount of money you wish to take off (rather than the number of points you wish to use). Points can only be spent when you order online, while you can keep track of them through your online Skatehut account. Skatehut offer free Royal Mail Tracked delivery on orders of £30 or more, which will see items arrive in 2-3 days (Monday-Saturday). With this service, orders placed before 3pm will be dispatched the same day, while those placed after 3pm will be sent out the next working day. 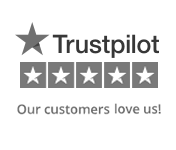 Order by 7pm and you can choose DPD next working day delivery, which is free for orders over £100. You will receive a text/email on the day of delivery giving you an estimated one-hour window. This service is only available to UK mainland customers. You can also take advantage of DPD Saturday and Sunday delivery options, if you place your order before 7pm on Friday or 3pm on Saturday respectively. Alternatively, select DPD Pickup and you can choose to have your order sent to one of 2,500 shops. They will send you a text or email when your order is ready for collection and you will need to take your Pickup Pass and a form of photo ID when you pick it up. This is free for orders over £100. If you place an order worth more than £20, Skatehut will provide a free returns service through DPD or Royal Mail Tracked. Items can be sent back within 30 days of the date you received your order for a refund, exchange or credit, as long as they are unused, unworn and in the original packaging. However, if you are returning an item for a refund, you will need to inform Skatehut of your intention to do so within 14 days of delivery. Complete and enclose your returns form, while with most items, you will receive a free returns label - or a leaflet which shows you how to print one off. You can take your item to a DPD Pickup shop, which are open seven days a week. Alternatively, you can take it to your local Post Office, where you will receive a receipt and tracking details. Royal Mail Tracked return services are ideal for shoes, clothing, skates, skateboards, scooters and similar sized items. If you want to send back an item which weighs more than 5kg or is in a very large box, you should contact Skatehut and they will tell you how to return it. Get in line for a great cashback reward when shopping for all things skating with these fantastic offers. 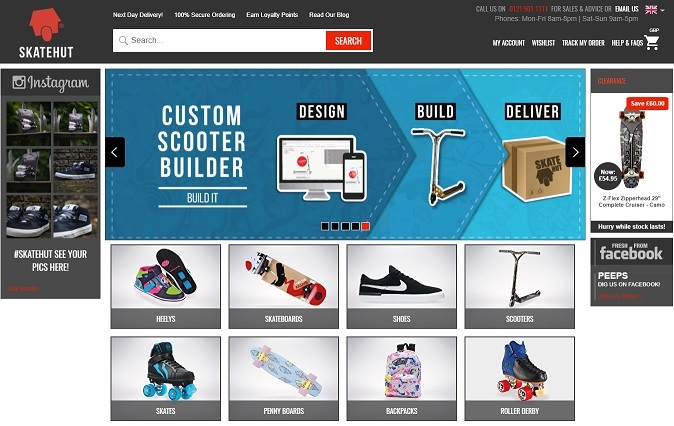 Skatehut's product range includes skateboards and longboards, decks and components, as well as scooters and skates, including ice skates and roller skates. You can also shop for clothing and shoes, helmets, elbow pads and knee pads. Browse balance bikes and BMX, bags, toys and a huge range of accessories. 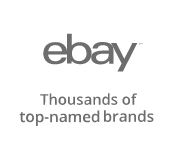 They have over 20000 product lines in stock and more on the way. Enjoy free delivery and returns in the UK, and order by 7pm for next day delivery.